CNY Community Foundation’s Philanthropy Center Ballroom, second floor 431 East Fayette Street, Syracuse (at Fayette/Firefighters' Park). Admission is free to the entire Central New York Community. Come celebrate the good things happening in our community. Light refreshments will be served. PACNY will recognize a wide variety of individuals and organizations who have made singular contributions to the culture of preservation. Jasena R. Foley Education Award is given to individuals or groups who educate, promote, engender or advocate a preservation ethic in Central New York. Syracuse, NY. 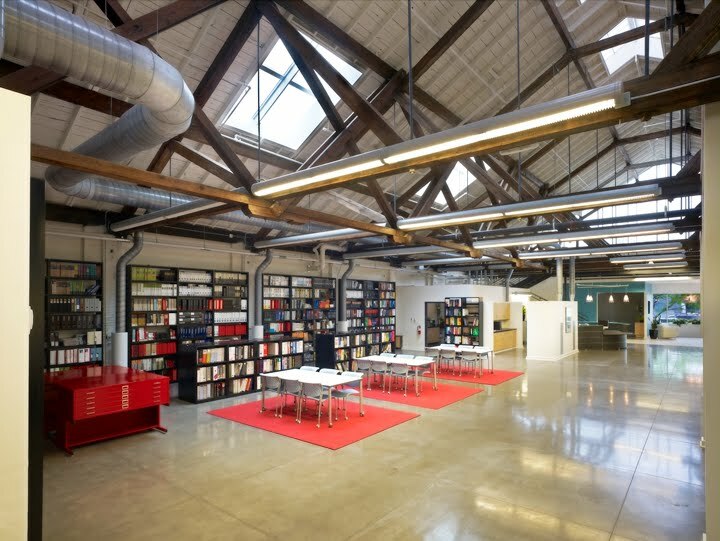 King + King Architects offices will receive a Merit Award. The Pat Earle Award is given for a singular outstanding historic preservation project which benefits the community. The Harley J. McKee Award is given for excellence in the promotion and application of appropriate preservation technology and fine craftsmanship. The Preservation Merit Award is given to recognition of exceptional achievement in historic preservation. Syracuse, NY. Slocum Hall at Syracuse University will receive a Merit Award. Skaneateles, NY. The Watt House will recognized with a TLC award. 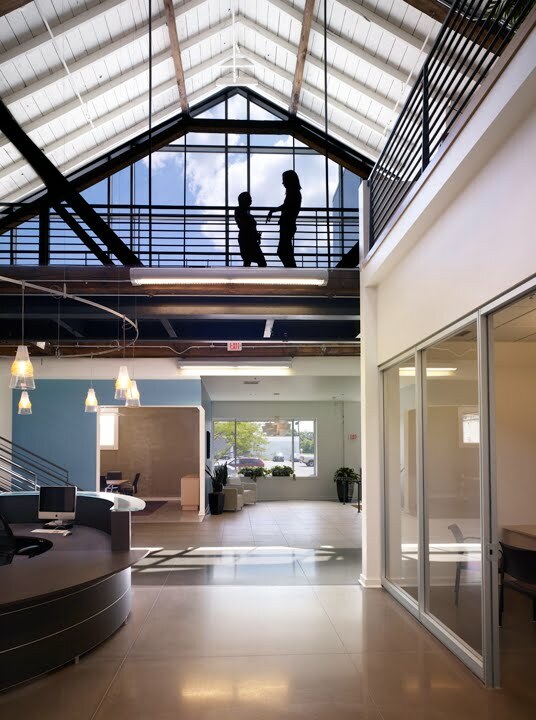 King + King Architects will be recognized with a Preservation Merit Award from the Preservation Association of Central New York (PACNY) for its innovative and attractive renovation of the former Dupli Envelope & Graphics Corporation on Syracuse's Near-West Side. 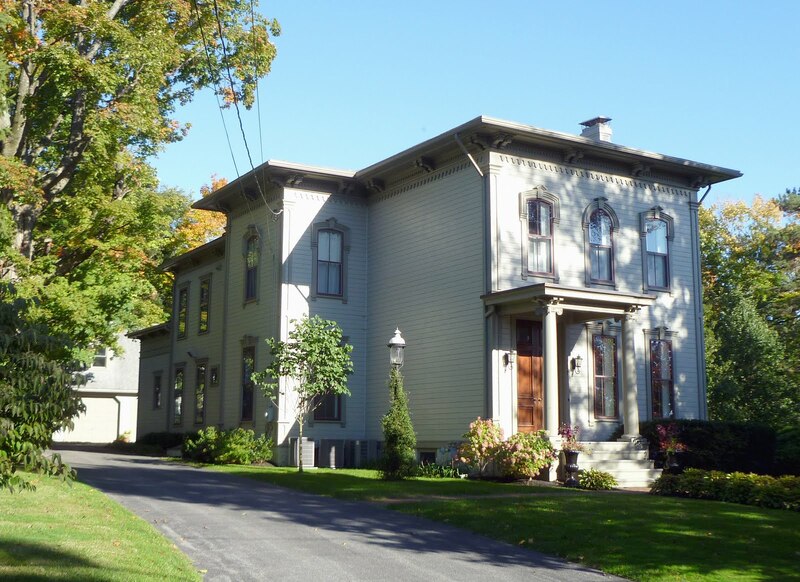 The award will be presented at the annual Preservation Awards Ceremony held on Thursday, at 7 pm at the Philanthropy Center in Downtown Syracuse. The event is free and the public is welcome. Funded in 1868 by Archimedes Russell, King +King is the oldest architectural firm in New York state and fourth oldest in the country. The firm of 70 is led by four partners: Pete King, Dave Johnson, Jim King and Kirk Narburgh. The firm was located in the City of Syracuse until the 1980s, when it moved offices to Manlius. In 2008 the firm decided to return to the city as part of the continuing revitalization of Downtown and the Near West Side. King and King renovated the former Dupli Envelope & Graphics Corp. building at 358 W. Jefferson Street, on the corner of West Street. The original structure (the barn space) was constructed in 1913 and used as an assembly plant by the Case Tractor Supply Co. Other additions were made in the 1920’s and the 1960’s. Renovations began in May 2008 for the $6 million, 52,000 square foot office project and were completed at the end of the year. 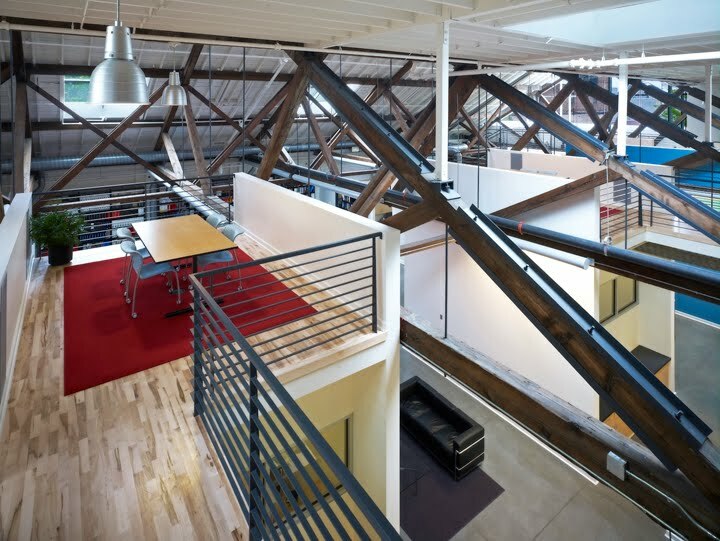 An original warehouse section has been kept fairly open as the firm’s lobby, conference room and some offices. Timbers were cleaned and left exposed, but skylights have been added to brighten the area. 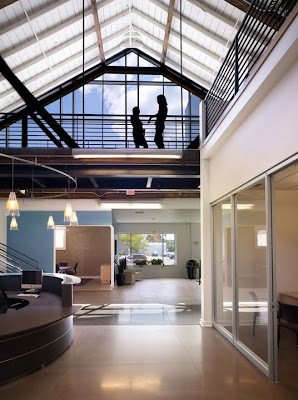 Large windows give employees a view and allow people driving by on West Street to look in and see the office at work. Overall, the new skylights bring sunlight into the building and save energy costs by reducing the need for lighting and heating. The King + King office project is both a preservation project and a recycling one, since ninety-fine percent of the original but dilapidated commercial structure and building envelope has been reused; including the brick walls, trusses and most of the roof deck. The result is now a LEED platinum-certified building renovated for new purpose following a new design. It is a perfect example of the adage that the “greenest” building construction is reuse of one that already exists. The 70-employee firm fully occupied the new space in January 2009. The building was renovated under the U.S. Green Building Council's top Leadership in Energy and Environmental Design standards.The new building consumes 50% less water and 80% less energy than a typical Syracuse office building and 50% less energy of a typical new office building. In addition, because of the firm's new location it is estimated that employees drive 30,000 less commuting miles annually. The building is a great contribution to the commercial development in Syracuse’s Near Westside. As partner Pete King has said, “It shows, and can help show, other developers, and the community, what's possible in some of the older architectural stock buildings in the city"
The King + King Architects design team included Eric Witschi, Jason Benedict, Matt Leak, Mark Azzarello, Nicole Stack, David Green, Tammy Seward, and Matthew Brubaker. Construction was carried out by Hueber-Breuer Construction Company with Otey Marshall and the late Harold Bush as Construction Manager. The Mechanical Engineer was IBC Engineering's Dan Fox . The Structural Engineer was Jim Kaplan of John P. Stopen Engineering Partnership and Tim Lobczowski of Appel Osborne Landscape Architecture was Landscape Architect.